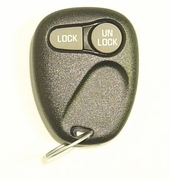 Lost your Chevrolet Tracker keyless entry remote?. Save up to 75% off dealership prices on key fobs for Chevy Tracker! FREE remote programming instructions included for your truck remote control? Remote transmitter pads are easy to program. Unlimited phone tech support - 866-690-4308 toll free.